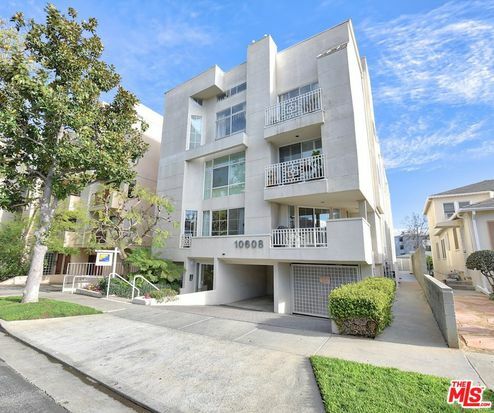 Ideally situated between Westwood Village and Century City, this 2BR/2BA penthouse 2-story unit is exactly what you’ve been looking for! Step into the open, airy floorpan complete with soaring cathedral ceilings, fireplace, and tons of natural light. Charming kitchen with Bosch fridge and tons of cabinet space. Large bedroom and bathroom downstairs, with generous closet space and newer washer/dryer. Head up stairs to your master suite, featuring more closets, an ensuite bath, and massive rooftop deck with skyline views. Two-car tandem parking in gated garage. Walking distance to UCLA and all of the conveniences along Westwood Blvd. Mere minutes from Santa Monica, and all the shopping and restaurants in Century City and Beverly Hills. Don’t miss it!